Pixelache | Home sweet home! News : Home sweet home! 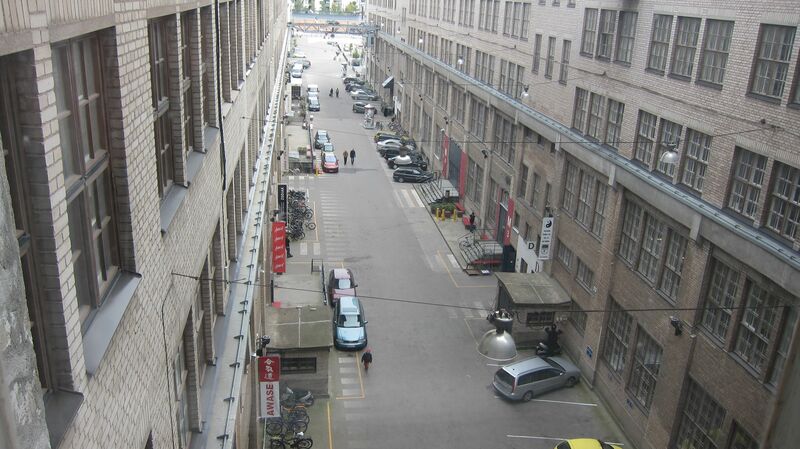 Pixelache has moved to a new space in Cable Factory in Ruoholahti, Southern part of Helsinki. We share our office / event space with Smeds Ensemble theatre company and Sotamaa architecture / design studio. We are planning to organise regular small-scale events here, such as presentations and workshops. Our neighbours on the 4th floor of Cable Factory include HIAP - Helsinki International Artist-in-residence Programme and AV-arkki Distribution Centre for Finnish Media Art. Cable Factory is a former factory where Nokia cables were manufactured (before becoming a mobile phone company, Nokia used to manufacture amongst other things industrial cables, rubberboots and toilet paper). The factory was converted to a cultural venue in 1991. It currently houses 3 museums, 13 galleries, dance theatres, art schools and a host of artists, bands and companies. Around 900 people work at Kaapeli on a daily basis, and each year over 200,000 people attend special events.